If your calendar is blocked for travel the last week of June, you just might be heading to AcademyHealth’s Annual Research Meeting in Seattle, June 24-26. If so, you should stop by the Mayo Clinic booth #309 for a visit with some of our researchers. Even if you’re not going to be in Seattle, you may want to check out what Mayo Clinic has on the docket. One of the key events is a special session: “Trans-disciplinary Partnership and Analytics Improving Health Care Delivery: Case of Smart Emergency Department.” Sponsored by the Mayo Clinic Robert D. and Patricia E. Kern Center for the Science of Health Care Delivery, in this session speakers will discuss Mayo’s unique Emergency Department Clinical Engineering Learning Lab. 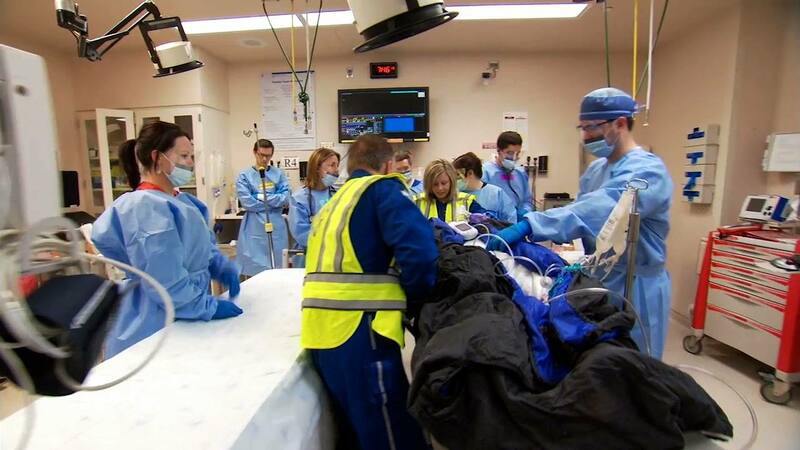 This multidisciplinary ED-CELL team pairs bedside clinicians with scientists and engineers, to perform discovery and rapid-prototype solutions, leading to practice changes for improved care. (While saving money, time and angst for Emergency Department staff and patients). Mayo Clinic is at #ARM18 to share what we’ve learned over the past year, in an effort to accelerate practice transformation for the good of patients everywhere. In addition to publishing in peer-reviewed journals, we present our research at national and international gatherings such as AcademyHealth’s Annual Research Meeting (ARM). 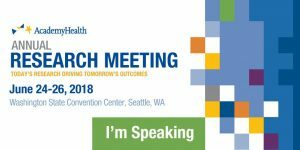 #ARM18 features researchers from across Mayo Clinic (and a plethora of other organizations), spanning the entire continuum of health care delivery research. In addition to the special session, our researchers are chairing other sessions, discussing their team’s research, and presenting posters. In addition, there will be many informal ‘Meet the Researcher’ sessions at the center booth. Abstracts and more information are available on the AcademyHealth Annual Research Meeting agenda website. Kalyan Pasupathy, Ph.D., with Heather Heaton, M.D. ; Thomas Hellmich, M.D., (@THellmich); and Mustafa Sir, Ph.D. Patient Centered Research: Managing Patients with Progressive Multiple Sclerosis: How Can We Better Address the Unmet Needs? Utilization and Cost Analysis of Lung Transplantation and Survival after 10 Years of Adopting the Lung Allocation Score (LAS). Organizational and Social Determinants of Burnout Among Primary Care Personnel in the VA.
Add these event times to your calendar, and stay tuned for more from @MayoClinic @AcademyHealth #ARM18. Mayo Clinic is at the AcademyHealth Annual Research Meeting every year, to share our latest findings. Read about 2017.